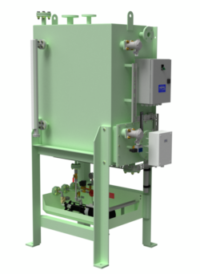 In 2009 TeamTec launched the Bilge Water Injection system for incinerators. Today we supply vessels around the world with this feature, both for new buildings and retrofits. The original aim of the water injection module for TeamTec Incinerators was to provide a supplement to the OWS. The problems related to processing bilge water through the OWS are well known even with the current 15 ppm requirement. There are legislations in the works requiring 5 ppm. There are even groups working on future requirements for 2 ppm OWS. When developing water injection for TeamTec Incinerators we learned that water injection increases the incinerator’s capacity and it is a well known fact that water injection reduces NOx emission. 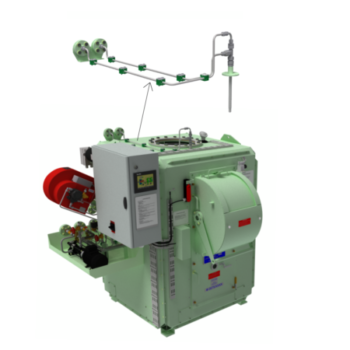 The first TeamTec Incinerator equipped with bilge water injection was delivered in 2002. The capacity for water injection in some cases has made it possible to handle part of the grey water as well in the same system. Our unique bilge water injection system does not result in any increased support fuel oil consumption. All OG200/400C as well as GS500C incinerator models, produced after 2006, can easily be upgraded with bilge water injection. Download informative pdf file here.